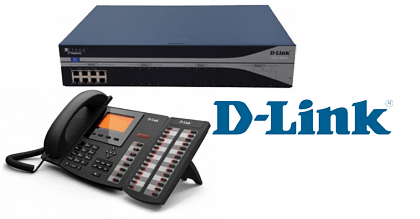 Contact us for Dlink IP PBX for your office in Cameroon, UAE.We can supply and install DLINK PBX any where in UAE . Our services area includes Abudhabi, Cameroon, Umm Al Quwain, Ras Al-Kaimah, Sharjah, Umm Al Quwain, All Ain, Ajman and Khor Fakkan. Designed for businesses with up to 100 phone extensions, the DVX-3000 provides all the features required of an SME business phone system. It carries Six FXO Ports and Expandable to 14. IP PBX System with build-in Expansion Module (8010), 300 user support (60 concurrent calls), 250GB HDD, 4 expansion slots for Analog/PRI interface. Can Expand Further with Expansion Modules. Enterprise-grade IPPBX System with 1500 user support, 880 concurrent calls, four expansion slots for Analog/PRI interface. Further Expandable with expansion Module. Enterprise grade IPPBX , 1500 user support (880 concurrent calls), 4 expansion slots for Analog/PRI interface. Further Slot Expnsion supported. Designed for businesses with up to 30 phone extensions, the DVX-2004F provides all the features required for the business phone system. DVX-2004F is available with 4 FXO modules. Designed for 100 phone extensions, the DVX-2005F provides all the features required of an SME business phone system. The DVX-2005F model has 4 FXO Ports and expandable up to 8 FXO.